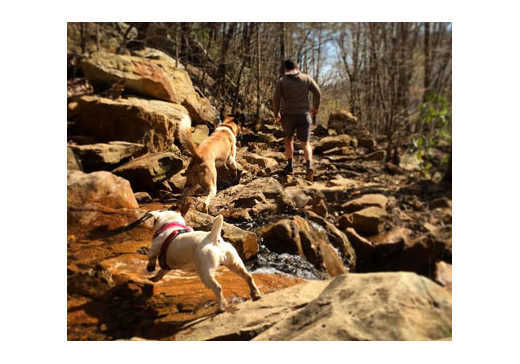 Take your dog on a trail run in Chattanooga! OK, it’s a true story up to the part when the dog talks, but I like to believe that’s what the dog was thinking. Dogs really do love to run, and the best place for that is out in the wild. 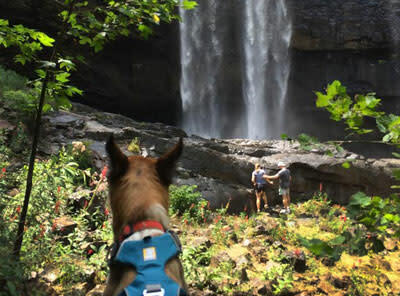 When it comes to runs and hikes, trails are better for dogs for the same reason they’re better for us: softer surfaces, lack of traffic, and the variety of terrain and scenery that inspires exploration.